Why does a calculator make me so happy? Does it even qualify as “stationery”? I’m not sure, but I did catch the bug on another stationery site, and I haven’t been able to forget it ever since I saw it there. The original model, ET-66, went out of production long ago but Braun decided to bring it back (along with their travel clock) in 2013. 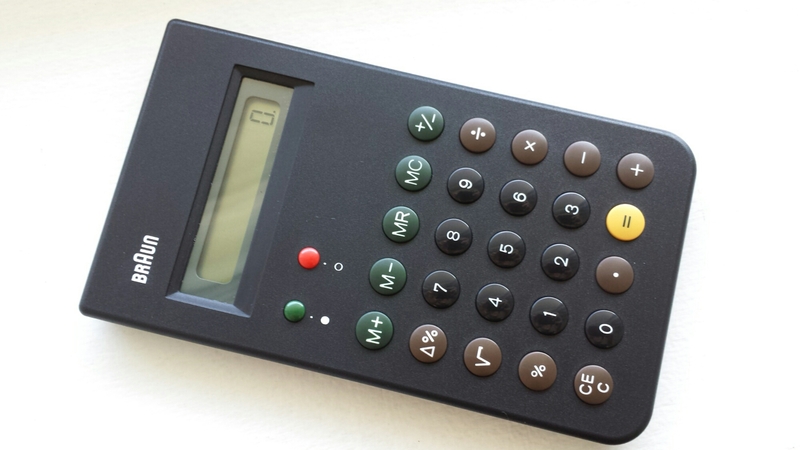 The calculator is both larger and lighter than I imagined it to be; although the current model (BNE001BK), which is made in China, is said to be a faithful replica, I wonder if the original had the exact same feel. I’ll never know, but in the meantime I am happy to have an affordable version of it close by me. 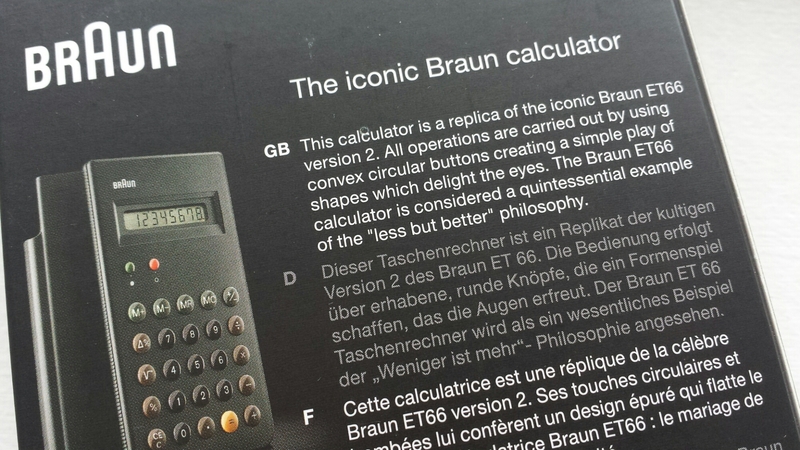 Thank you, Braun, for having faith enough to take a seemingly counterintuitive decision in this digital age.